My sister was adopted from an orphanage in Hefei, China on January 2, 1996, when she was 5 months old. Her adoption papers listed her name as Jiang An Feng, a name given to her by the orphanage, which we changed to Lian. When Lian was adopted, I was 6 years old and my family lived in Palatine, Illinois. At the time, US media outlets were first starting to cover the One Child Policy in China, which had resulted in a burgeoning population of children in Chinese orphanages. My parents decided to adopt a baby girl and joined a group of Americans navigating the nascent adoption process. 23 years later, my sister and I both live in California. She lives in Irvine and I live in San Francisco. 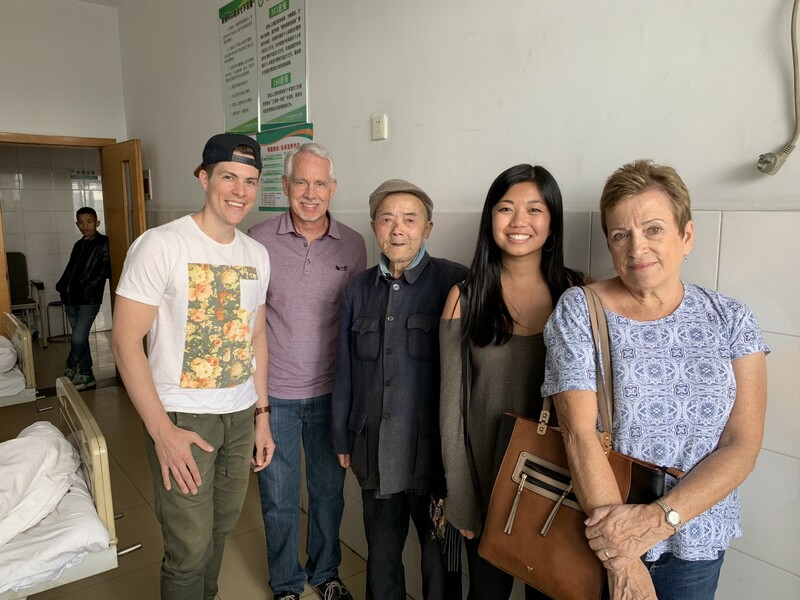 For years, my family has talked about taking a trip to China to retrace the route my parents took to adopt my sister and in October we finally made it happen. We all met in San Francisco and set out for Beijing, from which we would travel to Hefei and back again. Beijing was remarkable. We visited the Forbidden City and Tiananmen Square, viewed the preserved body of Mao Zedong, and found ourselves in a hutong speakeasy that hadn’t seen many foreigners. However, the story I want to share took place in Hefei, where we had planned the most meaningful portions of our trip. We arrived in Hefei after 4 days in Beijing. 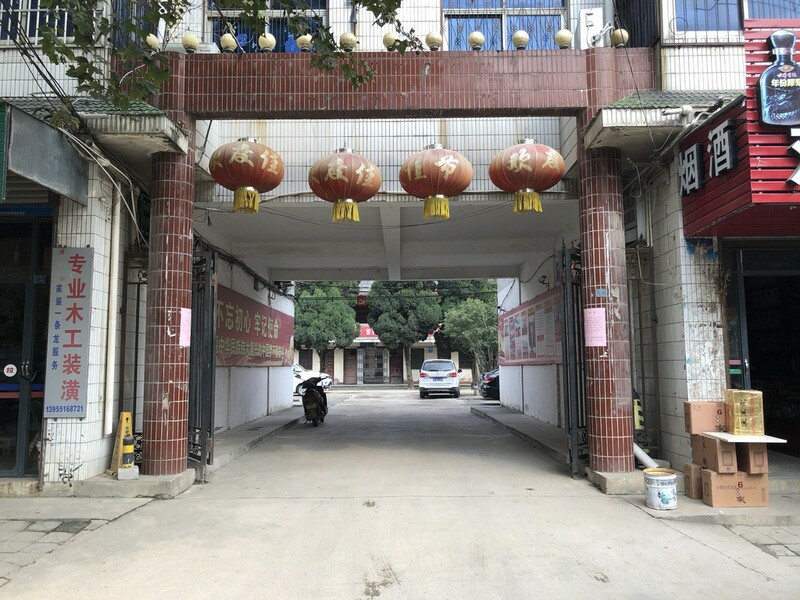 On our first day there, we planned to visit both the now-abandoned orphanage from which Lian was adopted and the new, modernized orphanage that had replaced it. We had arranged ahead of time for a Chinese translator named Ding and a driver to accompany us during this portion of our trip. Ding came highly recommended from other members of the group with which my parents had travelled to adopt Lian. He specialized in helping adopted children and their families from around the world retrace their roots in China. Given the nature of the conversations we hoped to have over the next two days and the strong language barrier in Hefei, there was no way we could have done it without him. After introductions, we set out to visit the now abandoned and dilapidated orphanage from which my sister had come. 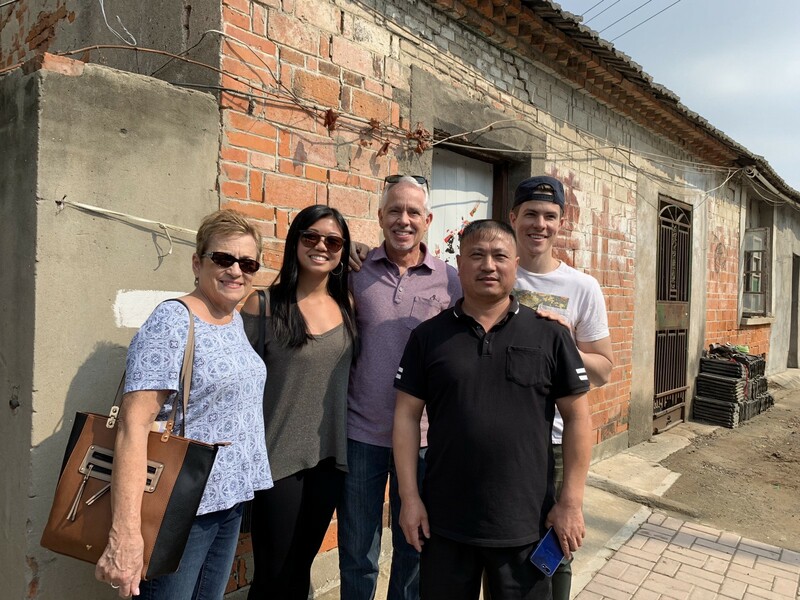 When my parents were in Hefei 23 years earlier, they were forbidden from visiting the orphanage — this was their first time seeing it. Thanks to Ding, we learned that it was soon to be demolished and we had planned our trip just in time. Looking through the locked front doors of the orphanage. Later that day, we set out for the new orphanage, which had moved to the rural outskirts of the city and quadrupled in size. We were given a tour of the facility, which was at times heart-wrenching. We learned that since the repeal of the One Child Policy in 2016, the number of children in Chinese orphanages has dropped significantly. At the same time, the population that remains now largely consisted of children with special needs, both mental and physical. After our tour, we were ushered into a conference room with the orphanage director and given the opportunity to view the original file created for Lian when she was received. Due to government policy, this file could only be viewed in-person at the orphanage. We knew from speaking with other adoptive parents that this file could contain revelatory information, so we had been anticipating this moment. 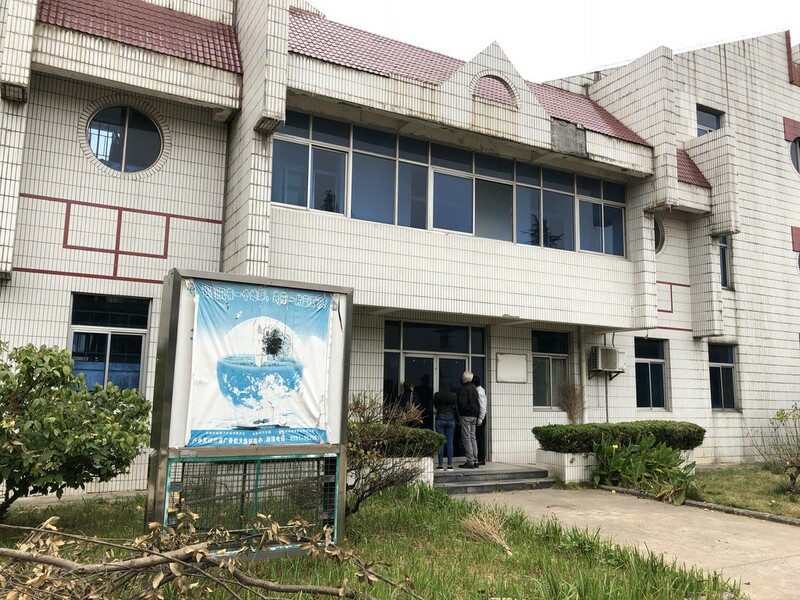 Lian’s file was mostly sparse, but it revealed the location at which she was abandoned— the gates of the Shuangdun Township Government Hall— a more rural area on the outskirts of Hefei. We arranged to visit the location with Ding the next day. The next morning, after driving an hour outside of Hefei’s city center to Shuangdun, we pulled up to a large government complex. Ding and our driver conferred for a moment, after which Ding shared that he was sure this building couldn’t be the original office at which Lian was found. We headed in and Ding approached a desk near the entrance to the building. A group of government workers looked at him, bewildered. After a moment, their faces warmed as Ding explained our story. They scribbled something on a piece of paper and handed it to Ding. He returned to us and stated that in fact, the government office had moved to this location only a week earlier. The old government office, which had operated around the time my sister was found, was only a short ride away. About 15 minutes later, we found ourselves bumping along the streets of an older part of town. It was a far cry from the modern downtown area where we were staying. The streets were narrow and densely packed — in some areas paved, in others, not. Ding looked out the window of our Buick scrutinizing addresses as buildings passed by. He pointed to our left and our driver slowed. The car pulled to the side of the road and we got out. To our left stood a gate, behind which was a passage that emptied into the parking lot for what was once the government offices. We had found it. The gate had two ancient iron doors, each emblazoned with a golden lion. They didn’t look like they had been drawn closed in quite some time. To the right of the gate, 3 women sat outside a small shop peeling turnips and laying them out on the ground to dry. A little dog sat about twenty feet to our left in the sun, no owner in sight. On either side of the street, a few residents walked about as passing rickshaws and motorbikes tooted their horns. We drank in our surroundings and imagined Lian being found here 23 years earlier. The gate as viewed from the street (left) and the gate door (right). The pink slips on the posts state that the office had just moved locations. We walked through the gate and into the interior courtyard, looking at the small buildings that once housed the local government. We took a few more pictures and then walked back out the street. As we prepared to hop back in the car, our guide began chatting with the women outside the store, who were looking at us with interest. 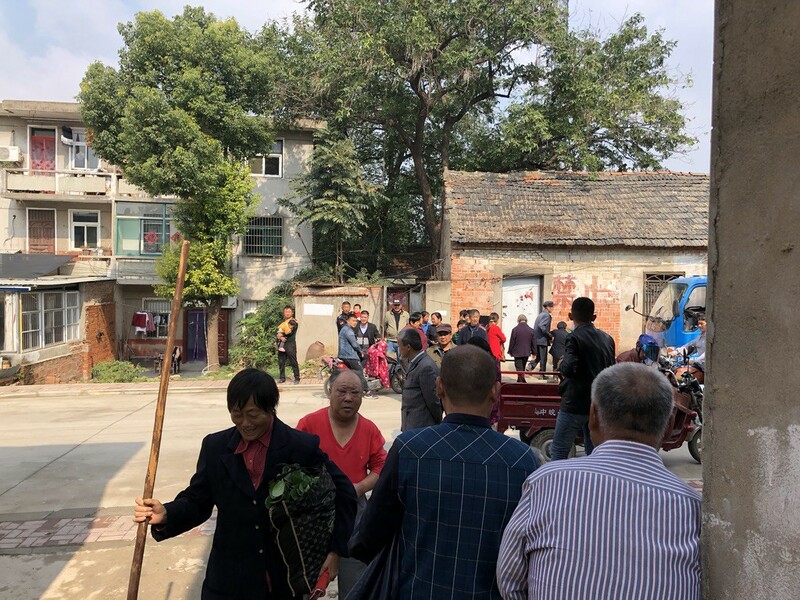 He gestured towards my sister and then towards the rest of us, explaining the circumstances that brought a group of very out-of-place Americans to a small gate in rural Hefei. Similar to our experience at the new government offices earlier, upon hearing our story, the faces of the women sitting outside the store warmed with smiles. However, they seemed to have a lot more to say. 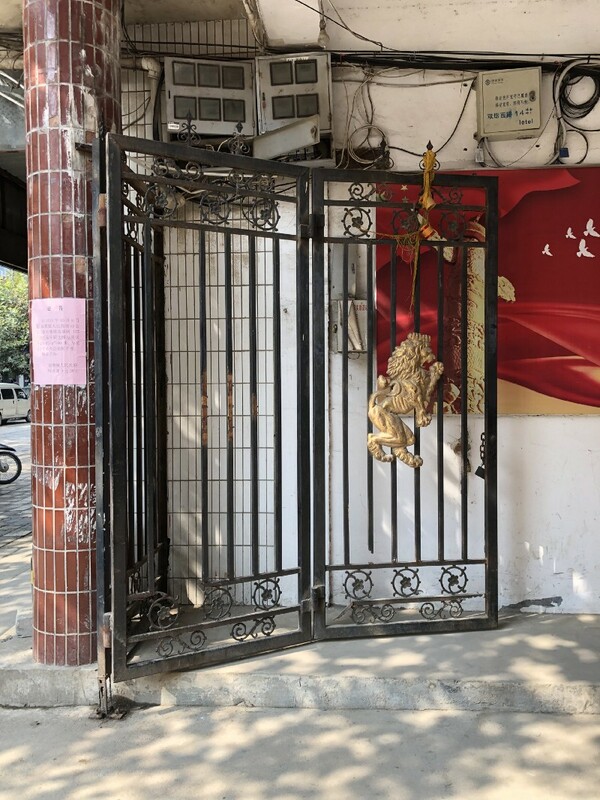 After a few more minutes of chatting, Ding turned to us and explained that the women said there was an old man who lived nearby that had taken it upon himself to keep a watch out for babies abandoned at this gate over the years. He would then house and deliver them to the orphanage. As a reminder, during the period of the One Child Policy, childhood abandonment rates were quite high. 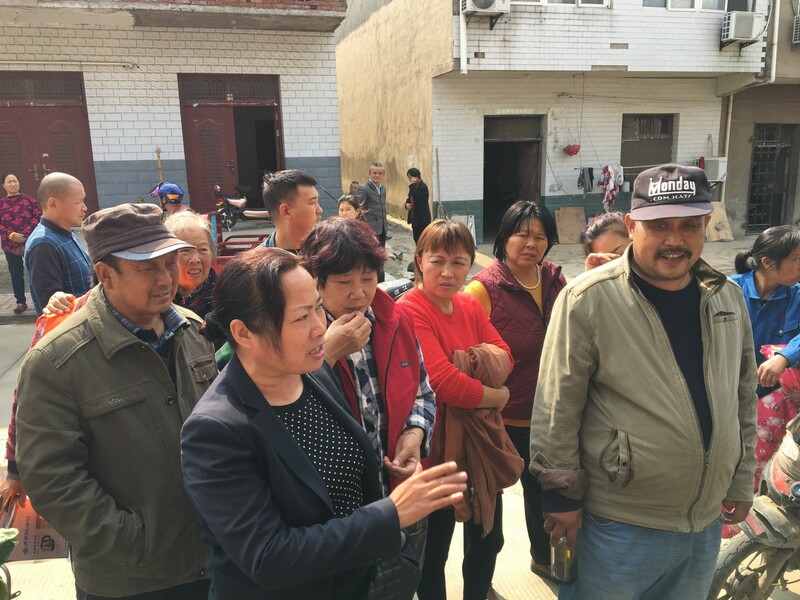 According to the director of the orphanage we had visited the previous day, at its peak, there were up to 1000 orphaned children in Hefei alone. This was a real issue, about which the general public was quite aware. Ding explained that according to the women, the old man lived down an alley about 100 feet from where we stood. He asked if we’d be interested in walking over to get a glance at the home of the man who had saved so many children. We looked at one another and nodded. 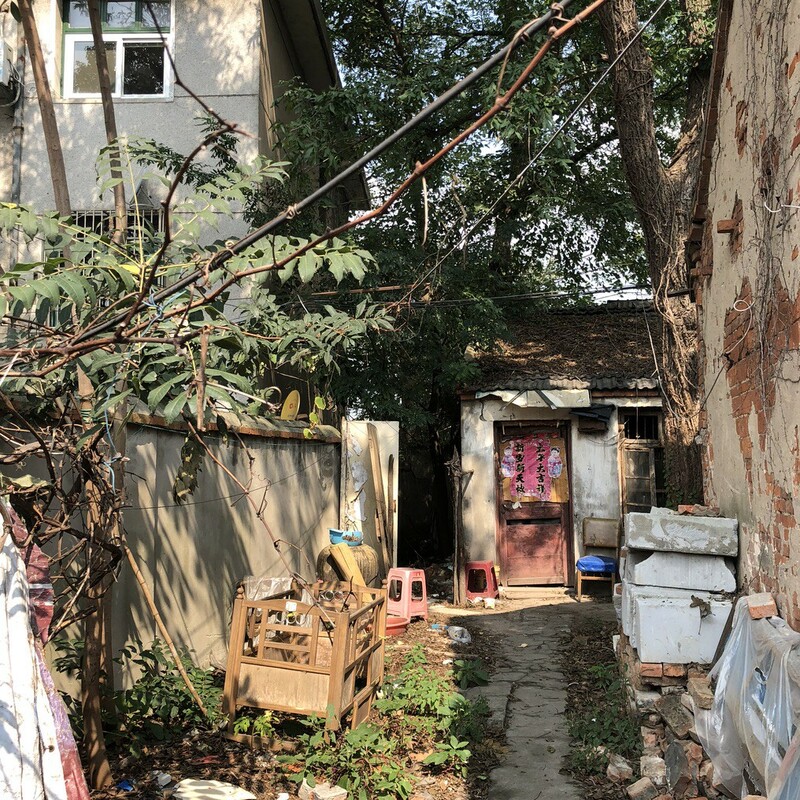 We were skeptical about finding much given the density of the alleyways, but also acutely aware that once we climbed back in the Buick, we were headed back to our hotel—concluding our adventure in Hefei. So, we headed down the road and turned down a dirt alley at Ding’s direction. The alley was muddy from the previous day’s rain. As we walked, a black and white cat eyed us as it slinked past a large tarp dotted with vegetables drying in the sun. 20 feet ahead of us, a few people busied themselves outside their apartments. As we approached, Ding called out. A few sentences were exchanged and he shared that they also knew the old man and that his place was at the end of the alley. He laughed and explained the old man seemed to be quite well known. A minute later, the alley intersected a small road. A few locals sat on their porches watching us. Ding approached a small gate at the head of a yard in front of us, looking for an address. As he did so, a man emerged from the home next store and the two began talking. “This is the old man’s home,” Ding said, gesturing down the path behind the gate. He continued his exchange with our new companion while we looked at the old man’s place. Similar to other homes in the area, it was a single-story structure. In the front yard, there was a crib alongside other old knick-knacks and construction materials. On his front door, there were two prints of smiling children and a note with Chinese characters. Ding continued to converse with the new man, who was eagerly explaining something with a large grin on his face. As he did so, neighbors began to emerge from nearby homes and approach us with confusion and interest. “This man has saved as many as 40 babies,” Ding said to us, surprised. A short, stocky old man in a bright red shirt with a pony tail pushed through the growing crowd and yelled something in Chinese with such intensity, that we thought things were taking a turn a turn for the worse. “Oh my, this man says 60 babies, in fact” Ding relayed. The man turned towards us and yelled the Chinese word for sixty again, using a hand gesture that we assumed meant sixty. The group of people behind us had grown to somewhere around 20 by this time. Many pointed camera phones in our direction, which was a new and unexpected experience. On the road next to us, bicyclists paused and a car slowed to a crawl to get a look. Everyone seemed to know the old man. Still speaking with the man who had approached us when we first arrived, Ding’s facial expression changed. “The old man was taken to the hospital yesterday, he’s not well,” he said. Expressions of concern washed over our faces, but our new companion started speaking with excitement to Ding again. “He would like to know if he can take us to the hospital to see the old man,” Ding said. We looked at one another and back at Ding. We explained that we didn’t feel it would be appropriate to bother the old man, given he was in the hospital. We didn’t even expect to meet him coming down this alley, and at least in my case, I was nervous to do so. Ding relayed this information back to our companion, who seemed to understand. Ding also shared that the man we were speaking with looked after the old man, which is why he had offered. All this said, we asked Ding if he could take a photo of us with the old man’s caretaker in front of the home before we went on our way. As we did so, the crowd of people that had amassed behind us all snapped photos as well. It was surreal. Our photo with the old man’s caretaker and neighbor. We turned to leave and the caretaker piped up once more. He insisted that we go to the hospital. He promised it was only a short walk away. Still hesitant, we explained to Ding that we really didn’t want to impose. We asked Ding if he could clarify how sick the old man was and if we would be offending the caretaker by denying his request. We also asked quite bluntly for Ding’s recommendation, given the overwhelming nature of the situation and any cultural nuances that may have been at play. After a moment of conferring with the caretaker, Ding turned to us with a grin. “We should go,” he said. The crowd in front of the old man’s house as we left. We headed back up the alley from which we had come and waved goodbye to to everyone. True to the caretaker’s word, after walking 3 or 4 blocks down the road where we had originally visited the gate, we arrived at a small, 5 story hospital nestled in a courtyard recessed from the street. As we walked up to the front door, we saw that 2 members of the crowd from outside the old man’s home had beat us there. One man sat in his rickshaw out front taking pictures, as another pulled up on his motorbike and then followed behind us at a distance on foot. We walked into the hospital following the caretaker’s lead. He gestured us into the elevator, which we rode to the fifth floor. When we exited, we were greeted by a small nurses station, which Ding and the caretaker approached. Once again, Ding explained our story, which was met with smiles from the nurses. After a moment, Ding returned and said he was going to go into the old man’s room first to ensure that it was appropriate for us to visit. Given our general apprehension and the anxiety coursing through our veins, we told him we would appreciate that. The caretaker, Ding, and 2 nurses entered the old man’s room about 50 feet down the hall. We heard shouting in Chinese. We glanced at one another and back down the hall. A nurse emerged from the room and trotted towards us with a big smile on her face. She beckoned us towards her and into the room. As we entered, the old man was sitting upright, legs swung over the side of his bed, with his eyes fixed on us. As soon as we entered, he shouted something in Chinese through an enormous grin punctuated by one perfect tooth. We shuffled into the room and towards his bed, which was situated at the back of a room with three beds. At the rear of the room, a door exited onto a small balcony where clothes hung out to dry. The old man stood, supported by the caretaker and immediately moved towards my sister, grasping her hands. He looked into her eyes with an expression of pure joy and continued to speak to her in Chinese. Out of the corner of my eye, I saw the local who had followed us on the motorbike peek into the room from the hallway and snap a photo on his phone. Ding put a hand on the old man’s shoulder and gestured to each of the members of our family, introducing us as Lian’s mother, father, and brother. The old man nodded happily and continued to speak. Ding explained that the old man was saying that Lian looked healthy and beautiful and was clearly surrounded by a loving family. Ding’s translations took longer than usual during this exchange, as the old man was speaking in a local dialect that the caretaker was then translating to Mandarin for Ding. Throughout this process, Ding began to leaf through a pile of newspapers that had been handed to him by the caretaker from the old man’s bag. Each of the papers, which were dated many years apart and showing their age, featured an article about the old man and his efforts to rescue abandoned children. Multiple photos showed him holding the children he saved and being honored by the city for his work. The caretaker explained that the old man carried these newspapers with him because they were his most prized possessions. He also explained that the old man had many more stored away in his home too. The old man posing with one of the articles. We came across one newspaper photo which showed him in his younger years (we were told he was 86 now) in a grey wool cap. Excitedly, the caretaker reached into the old man’s bag and pulled out the very same hat, nestling it on the old man’s head with a grin. 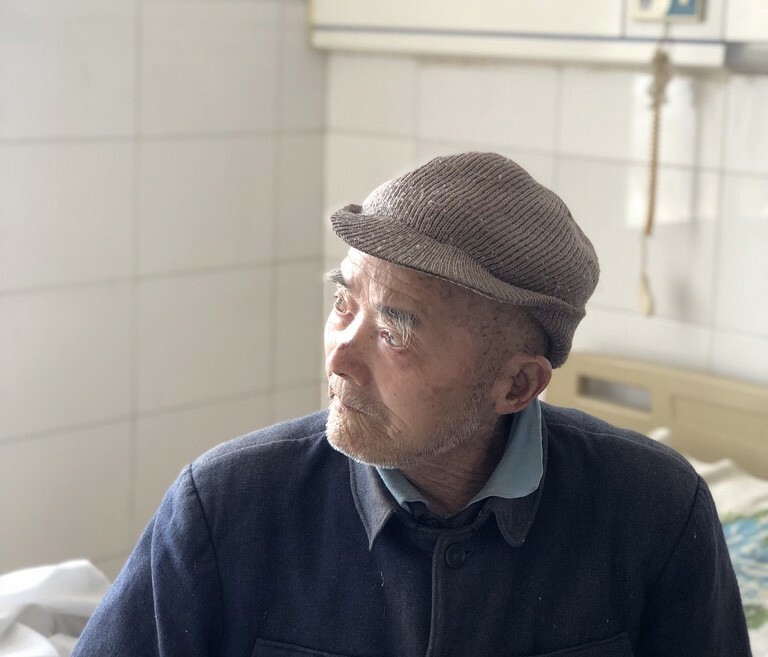 The old man went on to explain his story, sharing that he had lost his job as a factory worker due to the work he did rescuing, housing, and delivering children to the orphanage. He explained that it didn’t matter, because he knew the work he was doing was important. He had in fact discovered around 100 children from near the gate we had visited, the first of which he found in 1968. Since he had begun his work, he had been reunited with 3 of the children—Lian marked the fourth. He explained that seeing Lian happy and healthy made it all worth it. We asked that Ding express our profound gratitude to the old man and reiterate the love that Lian has brought into our lives. He smiled humbly upon hearing this from Ding. Before leaving, we asked to take a photo with the old man as a family. He stood up from the bed and made his way towards us, alarming his caretaker, whom rushed to his side. We sandwiched him between us as Ding snapped a few photos. The old man grew tired from all the excitement, so we said our thanks once more. As we turned to leave, tears began to stream down his face. His caretaker put a hand around his shoulder in consolation and gently dabbed at his eyes with a tissue. The duo walked with us to the door of the room and waved goodbye as we returned to the elevator. The caretaker followed us for a few feet more and we thanked him for pushing us to visit the old man. He explained that this meant more to the old man than we could imagine. We took the elevator back to the ground floor with Ding and exited onto the street. We stood blinking in the sunlight, dazed but beyond thankful for the utterly unpredictable series of events that had unfolded over the last 45 minutes. We climbed back in the Buick, which was still parked by the gate where Lian had been found and set off for our hotel. A couple weeks later after we were back in the US, we reached out to Ding with a handful of questions regarding our time together. We were interested in recording as many details as possible, should we ever return. 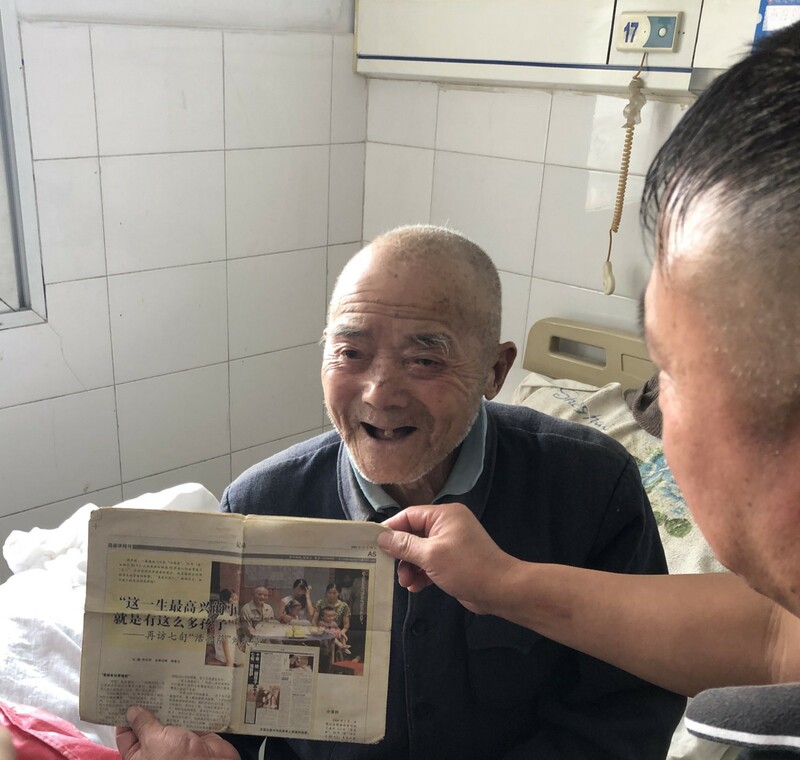 Most importantly, we realized that we hadn’t written down the old man’s name during our time in the hospital, so we asked if Ding could look through the photos we’d taken of the Chinese newspaper articles to help us find it. Design Systems Dropbox. Previously designing Uber and Uber Eats. Code, games, and hip-hop.